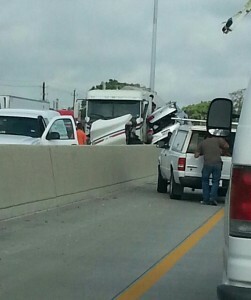 A major accident slowed the morning commute today on the Houston North 610 Loop eastbound near the Kirkpatrick exit. The exact facts of the accident are not known at this time, but at least two vehicles were involved: a tanker truck and a silver-colored Buick sedan. When the vehicles came to rest, the silver Buick had been spun 180 degrees and forced up onto the concrete center divider. It is unknown if their were any injuries. Channel 11 is reporting a traffic alert for a multi-vehicle accident on the southbound Gulf Freeway near Dixie Farm Road in Houston. 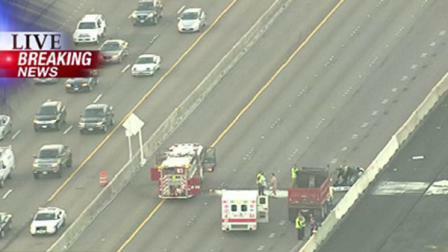 All southbound lanes of the Gulf Freeway are blocked; the northbound lanes have all but ground to a halt because of rubbernecking. The crash happened just before 6:00 a.m.; one vehicle rolled in the crash, and Channel 11 reports its helicopter footage showed a dump truck behind a crushed vehicle that was on fire. 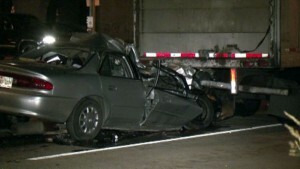 A report from Channel 13 posted just before 7:00 a.m. states law enforcement has confirmed one fatality from this wreck. 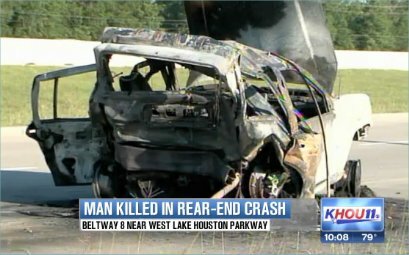 The Houston Chronicle is reporting a fatal 18-wheeler accident that happened this morning around 2:00 a.m. on the Katy Freeway (I-10) westbound near the Grand Parkway. 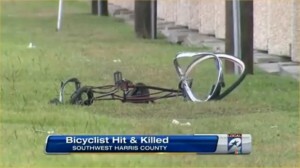 Harris County Sheriff’s Office is investigating and a cause of the accident was not included in the Chronicle’s report. 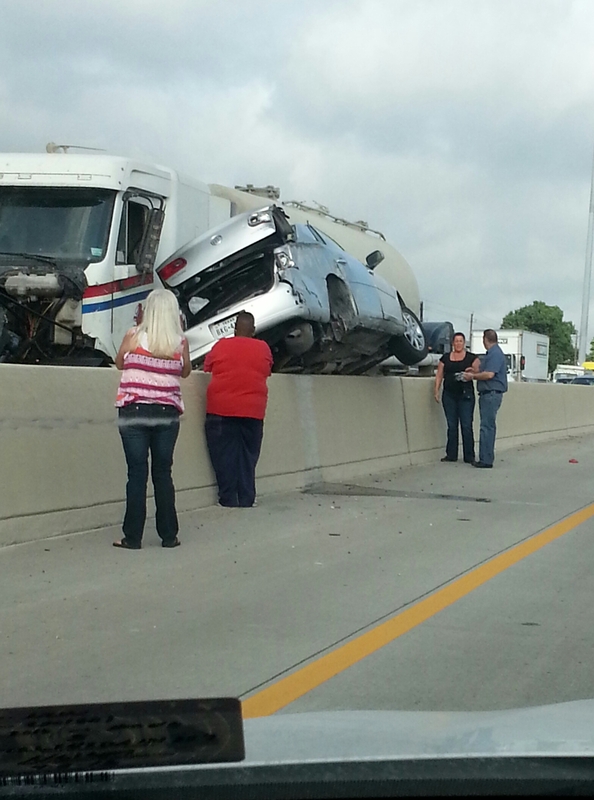 Three feeder road lanes near the wreck were closed as emergency responders worked the scene. 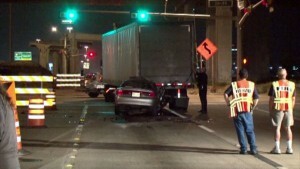 Channel 11 Houston’s story states that the driver who died was a woman driving a gold-colored Buick sedan; the Buick struck the rear of the big rig’s trailer at an intersection on the service road. Police say a BMW ran a red light at the intersection of Westheimer and the West 610 Loop before crashing into a taxi and an SUV. 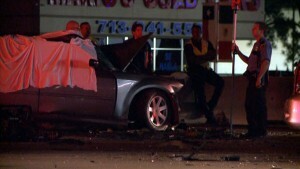 Two women were riding in the BMW; police do not suspect alcohol was involved. One injured person was transported to the hospital in stable condition. 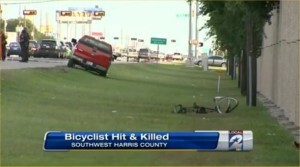 Car accident attorneys in Houston: Smith & Hassler. 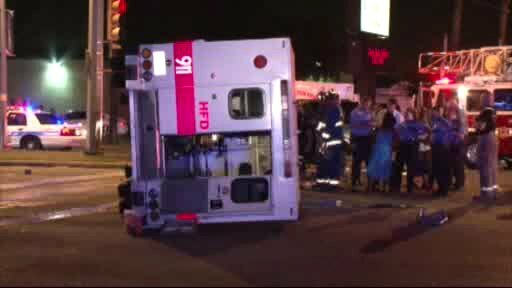 A suspected drunk driver in a Chevy Suburban ran a red light last night at Cook Road and Bellaire Boulevard, crashing into a HFD ambulance, causing the ambulance to flip onto its side. Two paramedics and a six month old baby riding in the Suburban were injured in the accident. At the time of the accident, around 12:30 p.m., the ambulance was not on a call and was returning to base. 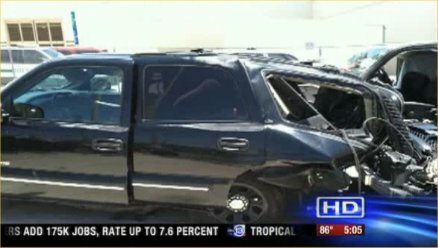 The man driving the Suburban faces a felony DWI charge because of the age of his passenger. 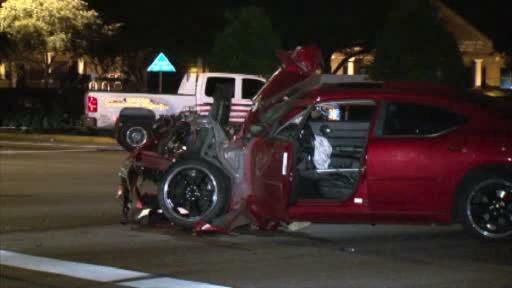 One person was killed and several others injured in a rear-end collision caused by a driver authorities say was heavily intoxicated. A red-colored Dodge Charger with black rims was reportedly speeding down Highway 6 when the Charger rear-ended a red colored pickup truck. 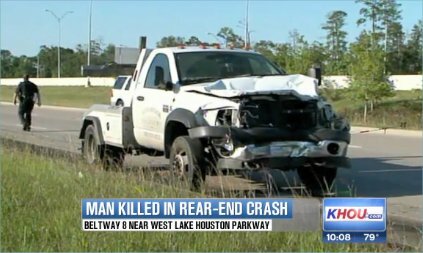 The red pickup was pushed forward into the path of an oncoming truck, resulting in a head-on crash between those two vehicles. 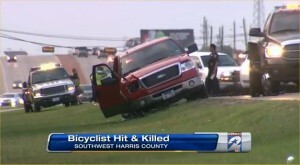 The driver of the red pickup truck died at the scene. The driver of the other pickup truck was rushed to hospital in serious but stable condition: the driver’s wife and two-year old daughter were also in the truck but reportedly were not injured. After the accident the driver in the Charger fled the scene on foot and was found face down, asleep, in the front yard of a nearby residence at the Copperfield subdivision. 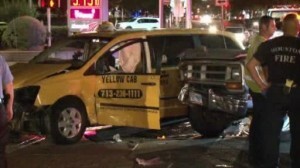 Due to the Charger driver’s high level of intoxication, he was taken to a nearby hospital. 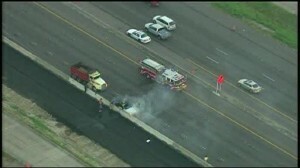 The accident happened at Highway 6 near Cherry Creek. The Harris County District Attorney’s Office has accepted a charge of intoxication manslaughter against the Charger driver. 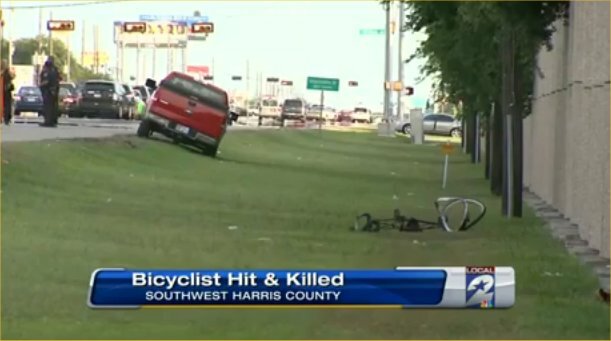 Court records show that 22-year old Aaron Jacques from Cypress, TX was charged in Harris County on June 16th with one count of intoxication manslaughter and one count of intoxication assault. 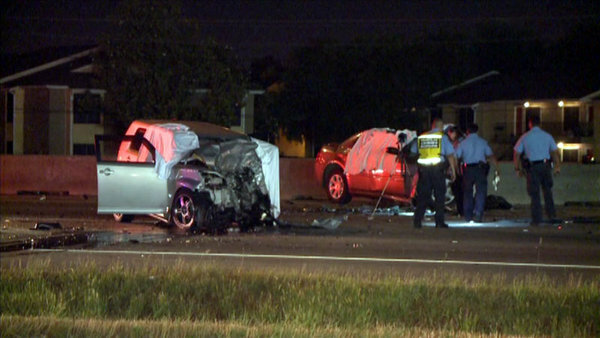 All main lanes of the Gulf Freeway south (I-45 S) were closed this morning near Almeda Genoa Road after a fatal head-on crash. A spokesperson for HPD said a Chrysler 300 sedan was driving the wrong way when it hit a police officer’s SUV head-on. 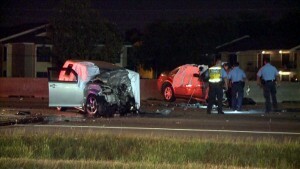 Both drivers died at the scene. 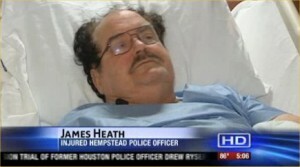 The officer who was killed was not with HPD, but a smaller local agency. 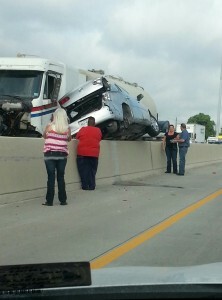 The crash happened around 2:40 a.m. according to Transtar. The officer, who was apparently on his way to work, has not been identified yet pending notification of family members. Harris County deputies are investigating a fatal accident involving a bicyclist to determine if the driver of the pickup that killed him was intoxicated at the time. 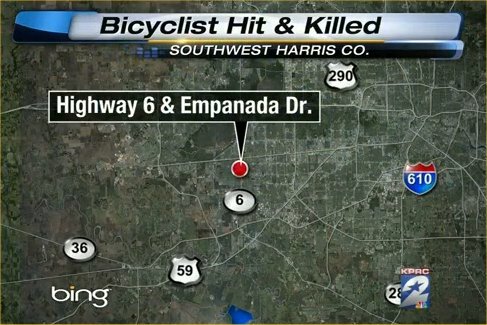 According to witnesses, the bicycle rider was proceeding on the shoulder of Highway 6 near Empanada Drive when he was struck by the red-colored Ford F-series pickup truck, which was also driving on the shoulder for some reason. The bicycle was thrown about 75 feet onto the grass verge to the roadside and the pickup sustained front end damage to the passenger side. 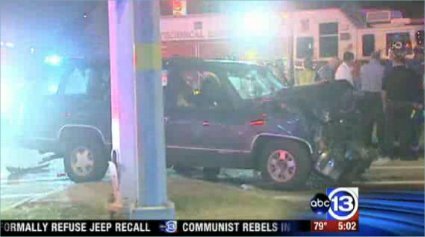 The driver of the pickup truck remained at the scene and investigating officers performed field sobriety tests and will also order a blood draw to determine if the pickup driver was driving drunk. The victim of the accident has not yet been identified, but according to Channel 2’s report he was in his late 40’s. James Heath, an officer with Hempstead Police Department and Courtney Banks, a Galveston County Sheriff’s Deputy, are thankful to be alive after a major car accident on Wednesday night. The two officers were working second jobs providing security for a construction crew working on a section of I-45 near the Galveston causeway. Their vehicles were struck by a woman driving at an estimated 80-100 MPH: both officers’ vehicles had the blue and red emergency lights activated. 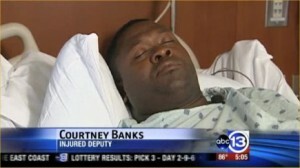 Interviewed by Channel 13 in his hospital bed, Deputy Courtney Banks reported a ruptured spleen, inter-cranial bleeding, and bruised if not fractured ribs. Photographs of the massive rear-end damage to Banks’ Chevy Tahoe are included below. 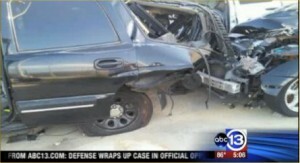 In the impact the Tahoe was knocked forward about 500 feet into the rear of the white-colored vehicle, also shown below. To his credit, Deputy Banks told Channel 13 that he is “…like a tank…” and that he may break down now and then, but fix him up and he’s right back at it. You’ve got to respect that spirit. The driver who crashed into the officers is hospitalized in fair condition and may face charges pending toxicology reports. Investigators found drugs in the woman’s vehicle. Smith & Hassler has handled virtually this identical case. 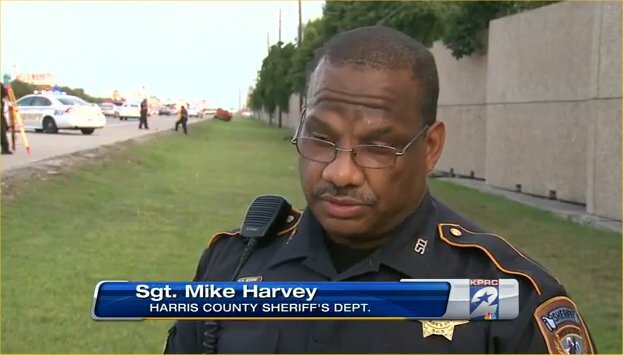 Several years ago our firm represented a Harris County Deputy Sheriff who was inside a coned-off construction area on the US 290 feeder road, providing security for a road striping crew. 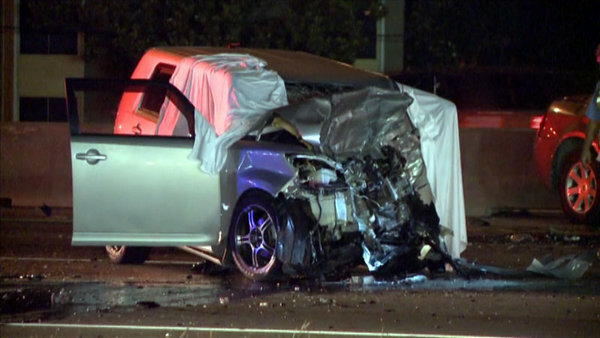 The deputy was in Ford Crown Victoria with red and blue emergency lights activated when an intoxicated tow truck driver plowed through the safety cones and destroyed the rear-end of the Crown Vic, injuring the deputy. That case settled on highly favorable terms. If you have been seriously injured due to the gross negligence of an impaired driver, Smith & Hassler would like to help. We aggressively pursue drunk driving accident cases and can point to many, many lawsuits filed by our attorneys when insurance companies attempt to get off lightly without properly compensating our clients. 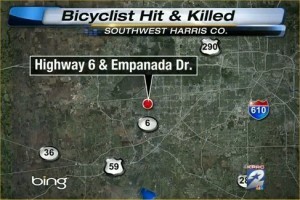 A man was killed in a rear-end collision yesterday around 3:00 p.m. 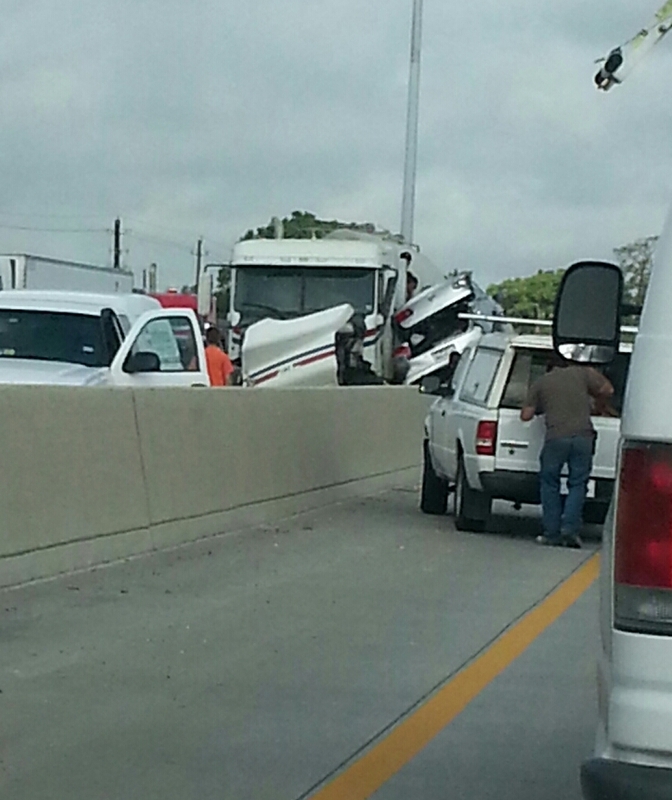 The man’s Jeep Cherokee had broken down on the East Beltway 8 feeder road near West Lake Houston Parkway. The man had called a family member for assistance and was waiting in his vehicle when it was struck from behind by a wrecker, causing the Jeep to catch fire. The wrecker driver and one other person pulled the man from the Jeep and attempted CPR but the man died at the accident scene. 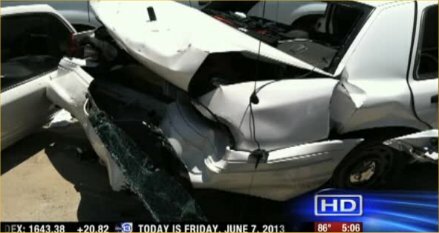 Houston personal injury attorneys since 1989: Smith & Hassler law firm.